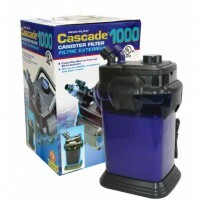 The Cascade 700 canister filter, designed by Penn Plax, has designed a quality canister filter that stands a head above, most all of its competitors. 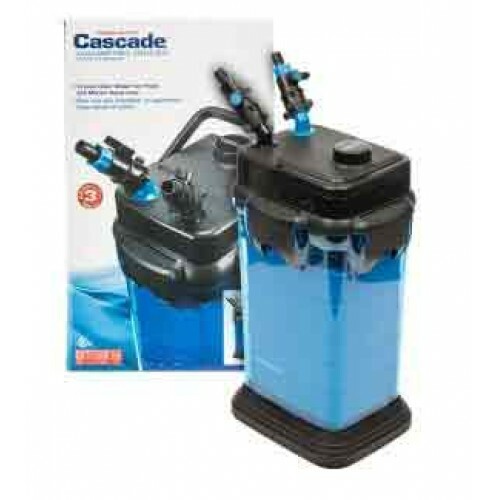 The Penn Plax Cascade Aquarium Canister Filter is designed to be both simple-to-use and provide maximum filtration for your aquarium. 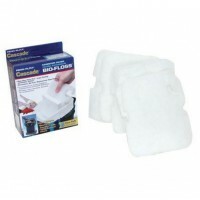 Utilizing a series of internal media trays, you can obtain mechanical and chemical filtration with the use of the included floss pads and carbon pouch. 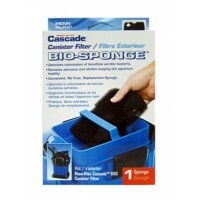 The coarse sponge material will provide surface area for biological filtration. 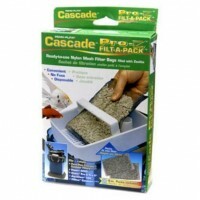 The trays are spacious enough to allow you to add other types of media to customize your filtration to match your needs. 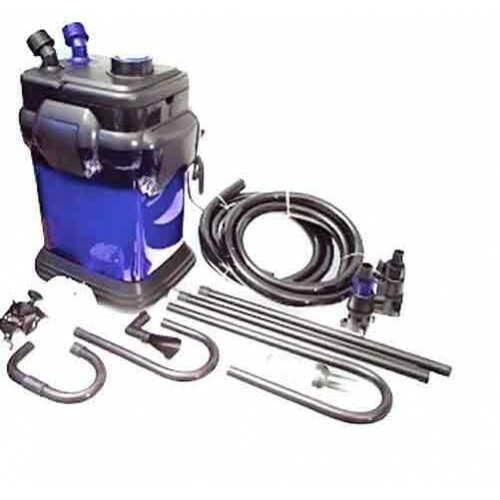 The motor head has an integrated O-ring and uses 4 large locking clamps to secure a water tight fit. The Cascade Aquarium Canister Filter includes quick-disconnect tubing connectors that also can act as a flow rate control system. The inlet/outlet nozzles rotate to allow you to adjust the angle of the tubing to fit the desired space. 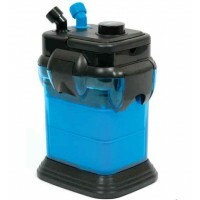 Includes a spray bar and a jet nozzle outlet to allow you to choose the best option for your aquarium. 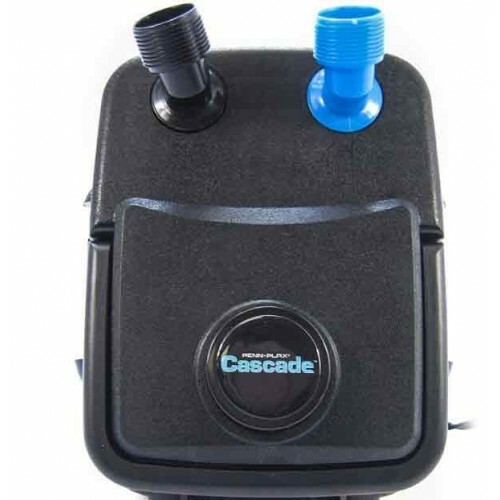 All of the models, including the Cascade 700 Aquarium Canister Filter, have a simple, push down self-priming button that makes starting easy. Cascade Canister Filters provide crystal clear water for fresh and marine aquariums. 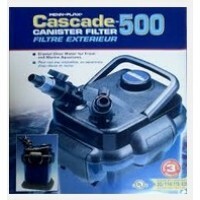 Filter media is included free with each canister filter so you can start getting clean, clear, healthy water right away.